For IT News Week 5 of May 2018. 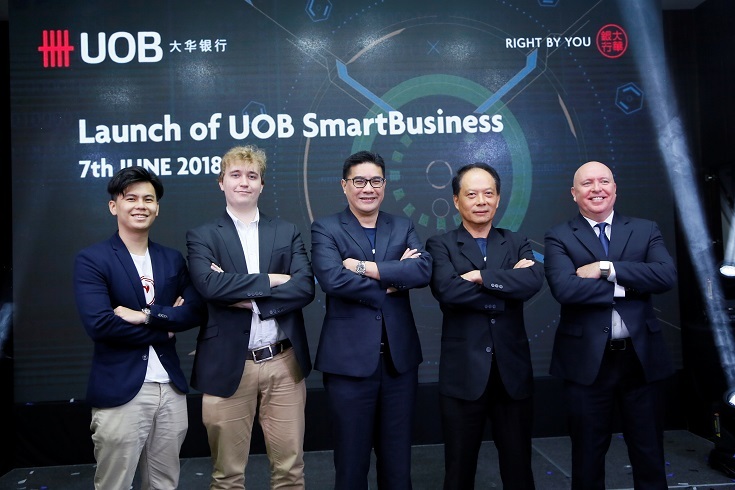 United Overseas Bank (Malaysia) Bhd (UOB Malaysia) and leading business software provider, SAP, today announced a tie-up to offer UOB SmartBusiness to the Bank’s small-and medium-sized enterprise (SME) customers. The tie-up marks the first time SAP is offering its enterprise software, SAP Business One® , to Malaysian SMEs through a bank. Mr Desmond Lee, Chief Executive Officer (Malaysia), HReasily; Mr Archie Fielding, Channel Sales Manager for AsiaPacific & Japan, Enterpryze; Mr Raymond Chui, Executive Director and Country Head of Business Banking, United Overseas Bank (Malaysia) Bhd; Mr Wong Kim Choong, Chief Executive Officer, United Overseas Bank (Malaysia) Bhd and Mr Brad Gray, Head of General Business, Southeast Asia, SAP. UOB SmartBusiness is a cloud-based integrated digital business solution designed to help SMEs make cost savings and improve their operating efficiency. It enables SMEs to streamline and to digitise their back office processes such as accounting, payroll, and business management through a secure and integrated digital solution. SMEs can also link their UOB SmartBusiness account to their UOB current account, thereby enabling an automated bank reconciliation process through the matching of transactions to sales invoices or bill payments. Fans and customers of honor who have been looking forward to get their hands on the newly-introduced honor 7A and Phantom Green honor 10 during the Super honor Day, happening on 8 June 2018, can rejoice even more now. honor Malaysia is adding onto the list of offers for the brand’s first site-takeover sale in collaboration with Shopee. 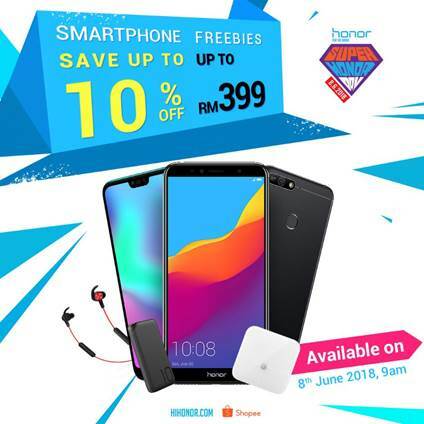 The much-anticipated Super honor Day will see additional flash sales and great bargains being offered from 9am onwards on 8 June 2018, on honor products across both hihonor and the honor Official Shop on Shopee platform. Limelight’s SmartPurge has been recognized with a Global Business Excellence Award for innovations that significantly improve workflows. Limelight Networks, a global leader in digital content delivery, today announced that Limelight’s award-winning SmartPurge recently removed 1.1 billion cached objects totalling 612 terabytes of data across Limelight’s global network in 123 milliseconds, it’s fastest single purge to-date. The ability to remove online content quickly and easily can protect revenue, ensure positive customer experiences and save money. SmartPurge is just one example of Limelight’s innovative and industry leading content delivery solutions that improve their customers’ workflow and provide flexibility, speed and peace of mind. Honor today announced a revolutionary graphics processing acceleration technology, known as GPU Turbo here at a launch event in Beijing. The GPU Turbo is able to dramatically increase graphics processing efficiency of mobile phones through hardware-software integration, providing global users with a smoother and faster mobile experience. 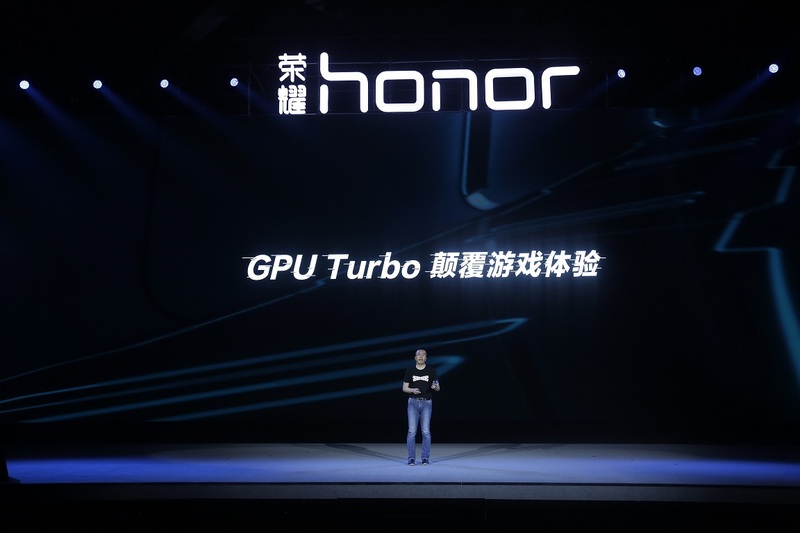 GPU Turbo will be firstly introduced to Honor Play, launched today in Beijing. It will be gradually applied in other popular Honor smartphones, such as the Honor 10, Honor View10, Honor 9 Lite and Honor 7X. The technology will also be opened to worldwide Honor users. George Zhao, President of Honor said that that this technological achievement expands the horizons in terms of providing better user experience to customers. Lian Li Industrial Co. Ltd., world’s leading manufacturer of aluminum chassis for enthusiasts, custom OEM/ODM case solutions and case accessories in partnership with Razer, the world’s leading lifestyle brand for gamers, is proud to announce the launch of a special edition PC-011 Dynamic chassis. The PC O11-Dynamic Razer Edition is co-designed and co-developed with the Razer team to be the world’s first chassis with full-integration with Synapse 3 and full Chroma capabilities. The Lian Li PC-O11 Dynamic Designed by Razer Edition will be available in Q4 2018. The PC-O11 Dynamic Designed by Razer Edition features a couple of upgrades over the standard PC-O11 Dynamic chassis: integrated Chroma RGB lighting in the front trim and bottom provide striking LED lighting. 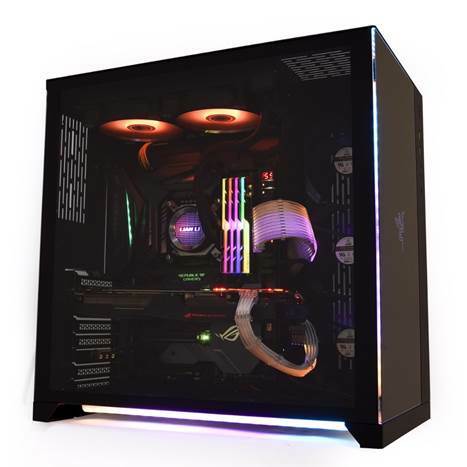 Lian Li and Team Razer also included full support for Razer’s Synapse 3 configuration utility as well as Razer’s Chroma technology which fully syncs all supporting hardware’s lighting. The final touch is the Razer logo added on the face of the chassis, leaving the iconic branding to serve as a mark for gamers. 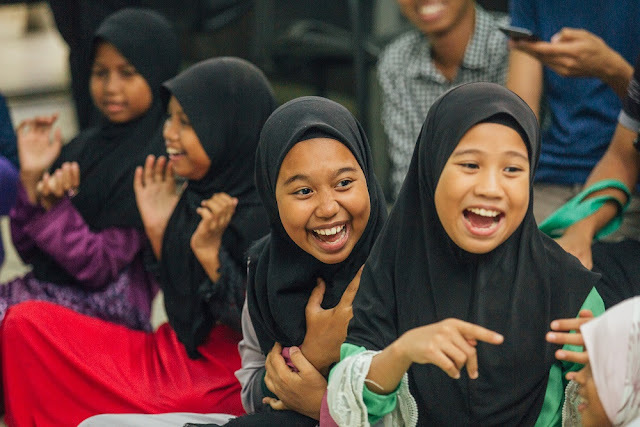 OPPO, one of the world’s leading smartphone brands is dedicated to giving back to society in the month of Ramadan by bringing joy and happiness to children in Rumah Titian Kaseh. To spread the festive spirit, OPPO provided essential items and monetary donation worth RM 10,000.00 which is part of the profits from the OPPO F7 x Neelofa edition. Adding to the good news Elfira Loy, Malaysia famous singer and actress was present as a special guest to spend times with the children. To amplify the spirit of Ramadan, OPPO Malaysia prepared fun activities, where Elfira Loy joined the children in a sand art colouring session, and played a few interactive games with them, followed by a performance show by Ollie, the OPPO mascot. Seventy-nine percent of organisations in Asia Pacific (APAC) believe that poor employee behaviour is a greater email security concern than inadequate tools (21 percent), according to a study sponsored by Barracuda Networks, Inc., a provider of cloud-enabled security and data protection solutions. This highlights the need for organisations to include employee awareness and training as part of their email security strategy. All respondents from APAC have good intentions and believe end-user training and awareness are important; however, only 79 percent provide training for their employees. It was also reported that larger organisations (over 1,000 employees) are more likely to train their employees. In response, Barracuda today announced that it has expanded its PhishLine product portfolio with a streamlined edition for organisations with less than 1,000 employees, tuned specifically for distribution through the reseller channel. PhishLine helps prevent email fraud, data loss and brand damage by training and testing employees to recognise highly targeted phishing attacks. 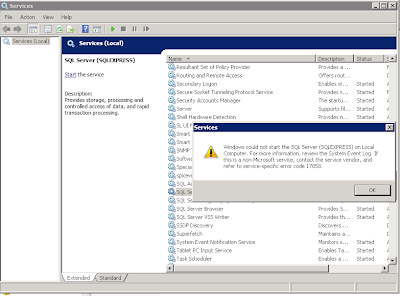 It is now available in multiple versions to suit the needs of organisations of all sizes. 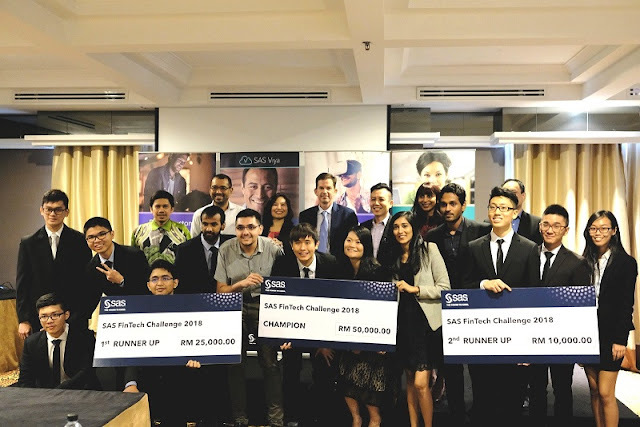 SAS, the global leader in analytics software and services, last week concluded the SAS FinTech Challenge 2017-2018 in Malaysia. Organized in partnership with Malaysia Digital Economy Corporation (MDEC) and five partner banks – CIMB Bank, Hong Leong Bank, May Bank, Public Bank and RHB Bank, the competition sought to raise awareness and the adoption of fintech among young talent in Malaysia. A team from Asia Pacific University of Technology & Innovation emerged as the winner for their innovation around digital loan applications for online retailers. In the front row, the winners, from left: In 2nd place Team ARTrace from Universiti Tenaga Nasional, 1st place winners Team SOMEROLA from APU and in 3rd place Team SharkFin from University of Nottingham Malaysia.. The financial services sector in Malaysia is on the brink of transformation. In line with Malaysia’s 2020 digital nation vision, 47% of the nation’s financial institutions are ready to embrace fintech and have placed it at the center of their growth strategy. Similarly, a recent survey by global recruitment firm Randstad showcases the need for innovation and talent as Malaysian banks digitize. Recognizing this evolution, SAS and MDEC partnered with Malaysia’s top local banks and gathered the country’s best academic minds to address current paint-points faced by the industry. The SAS FinTech Challenge received encouraging responses, with over 80 teams participating to develop innovative fintech business models that will enhance banking experiences. The winning team from Asia Pacific University of Technology & Innovation was awarded RM 50,000. The 30th annual conference of The Forum of Incident Response and Security Teams (FIRST) takes place in Malaysia 24-30 June 2018 at the Shangri-La Hotel in Kuala Lumpur. The Annual FIRST Conference promotes worldwide coordination and cooperation among Computer Security Incident Response Teams (CSIRTs). FIRST welcomes any information security practitioner, including those who head up and lead information security programs, make and implement technical decisions, but also policy and decision makers who have overall security responsibility, law enforcement staff who investigate cybercrimes and legal counsel who work on breach response to participate in the conference. Microsoft has announced that it has reached an agreement to acquire GitHub, the world’s leading software development platform where more than 28 million developers learn, share and collaborate to create the future. As a result of the acquisition, Microsoft Corporate Vice President Nat Friedman will assume the role of GitHub CEO while GitHub’s current CEO, Chris Wanstrath, will become a Microsoft technical fellow. The acquisition is expected to close by the end of this year, after which GitHub’s financials will be reported as part of the Intelligent Cloud segment. For the 10th year in a row, Milestone Systems continues to be the No. 1 global VMS (Video Management Software) vendor by company revenue, according to market research from business intelligence provider IHS Markit (NASDAQ: INFO). In 2017, Milestone Systems had a global VMS market share of 10.2%, an increase from 9.1% in 2016. Benjamin Low, Vice President, Asia Pacific, Milestone Systems, commented: “There is enormous potential in Asia Pacific, which is demonstrated by the strong 14.6% growth we saw in the region last year. We have some amazing, influential customers in APAC and are completing some very large deals, which is really consolidating our position as the number one VMS provider in the region. Milestone Systems is seizing the potential and APAC is fast becoming a significant contributor to big and prestigious projects. 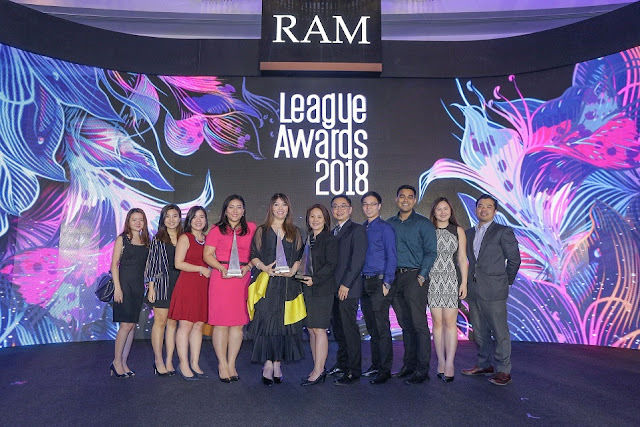 Hong Leong Investment Bank (HLIB) clinched three top awards at the recent 15th RAM League Awards 2018. HLIB received Lead Manager Award 2017 by Programme Value (First Placing), Lead Manager Award 2017 by Number of Issues (First Placing) and Lead Manager Award 2017 (Sukuk) by Number of Issues (First Placing) in recognition for their outstanding performance in the Malaysian bond markets for the year 2017. Hosted annually by RAM Ratings Services Berhad, the Awards recognises prominent financial institutions’ leading position in Malaysia’s domestic capital market. A total of 20 awards were presented and the prestigious event was graced by special guest YBhg Datuk Shahril Ridza Ridzuan, Chief Executive Officer of Employees Provident Fund.